The cult classic television series “Mystery Science Theater 3000” is back in a big way this year, and not just with the upcoming 11th season. 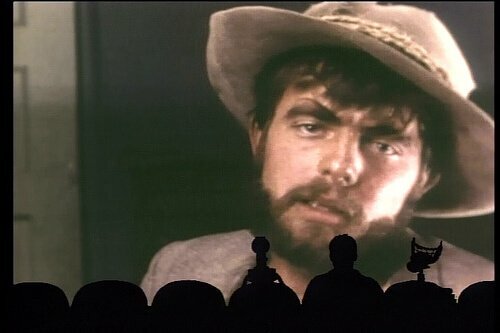 Now, it’s admittedly a little bit difficult to imagine what an “MST3K” comic would look like, since the series centers around a human and two wise-cracking robots making fun of cheesy old movies, but I’m certainly curious to find out. No word yet on when exactly we might be able to get our hands on the “Mystery Science Theater 3000” comic books from Dark Horse, but we’ll definitely keep our ears open! In the meantime, the new season of the TV show– the first in over a decade and a half– will make its debut on Netflix later this year. This article has probably the best title I’ve ever seen. Hopefully these comics will reveal how he eats and breathes and other science facts.